Give something that people will use time and again and see your name or logo time and again. Don’t be caught around a bottle of wine without this wine bottle opener. 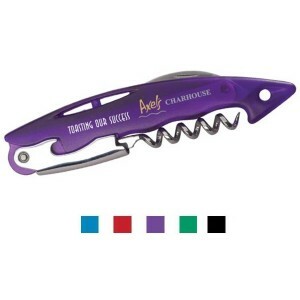 It’s designed with a sturdy corkscrew and lever to allow for the easy opening of wine bottles. It also features a durable cutter blade that cleanly slices through even the most stubborn wine foils. The sleek contemporary design of this bottle opener adds a distinguished style to every promotion. Available in 4 translucent colors (blue, green, purple and red) and 1 solid color (black). Imprint area is 5-16″ x 1-1/2″. 150 2.79 ea, 250 2.65 ea, 500 2.57 ea., 1000 2.50, 2500+ 2.45 ea. Set up is 55.00. No repeat set up charge within 15 mo of previous order. This wine bottle cap makes the perfect gift for the wine lover. From Zippo, this silver ABS plastic, wine bottle cap with a quick release button is the answer to a classy handout at your next booth or event. 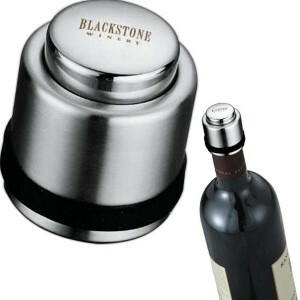 Simply press and release the button to secure the cap to the wine bottle. It fits most standard wine bottles. 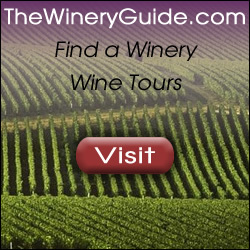 With your logo or information on it, makes a great takeaway at an event or tradeshow handout. It will help keep the wine fresh long after it’s opened. Min is 48 with imprint centered on the top .5″ x 1″. Price for laser engraved is 8.63 ea at min 48-149 pieces, 8.32 for 150-299, 7.99 ea for 300-449, 7.68 ea for 450-499 and 7.18 for 600 or more. Classy laser engraved, with 55.00 set up. Order yours today! # 7550-08 Silver ABS plastic, wine bottle cap with a quick release button. Simply press and release the button to secure the cap to the wine bottle. Fits most standard wine bottle.